Must see! Captivating 3,256 sq. 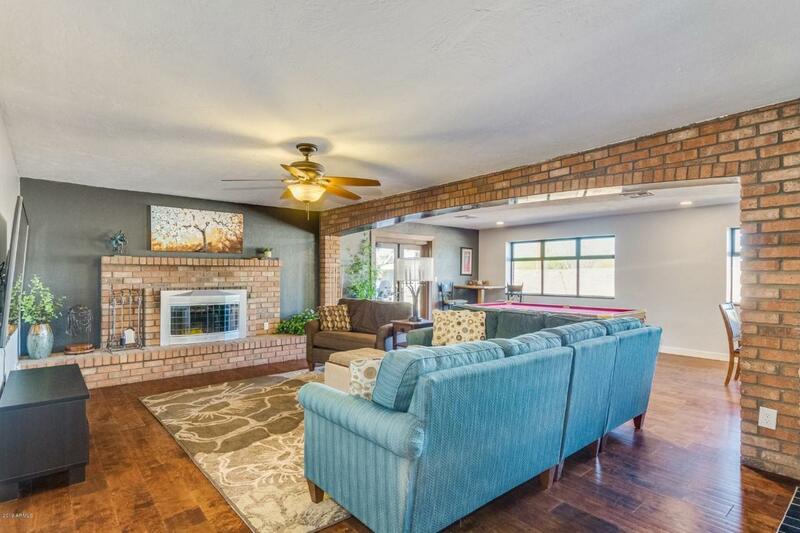 ft. 5 bedroom, 4 bath, brick masterpiece nestled on sprawling, half acre corner lot in Phoenix, conveniently close to schools, dining, shopping, and Mountain Preserve. 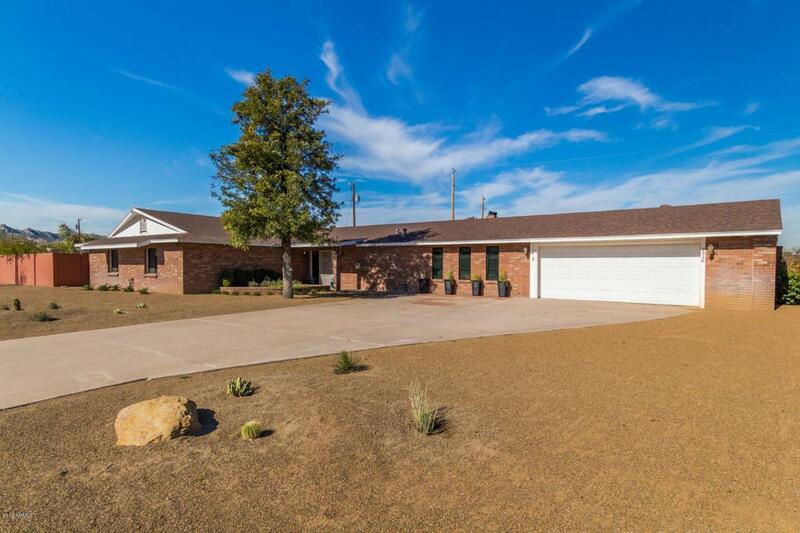 Well maintained, desert landscape in front and RV gate/parking, shaded patio, lush green grass, full grown trees, and full sized pool in the back. 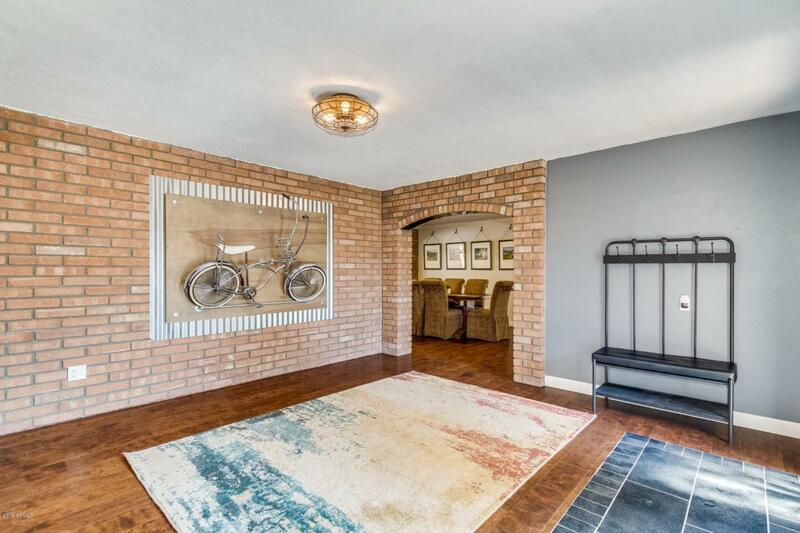 Inside beautifully remodeled plan with exposed brick walls, crown molding, an open layout allows easy access between great room and spacious, eat-in kitchen. State of the art kitchen boasts stainless steel appliances, refrigerator, wall ovens, cooktop, dishwasher and disposal. Granite countertops, an island, and custom cabinetry included. 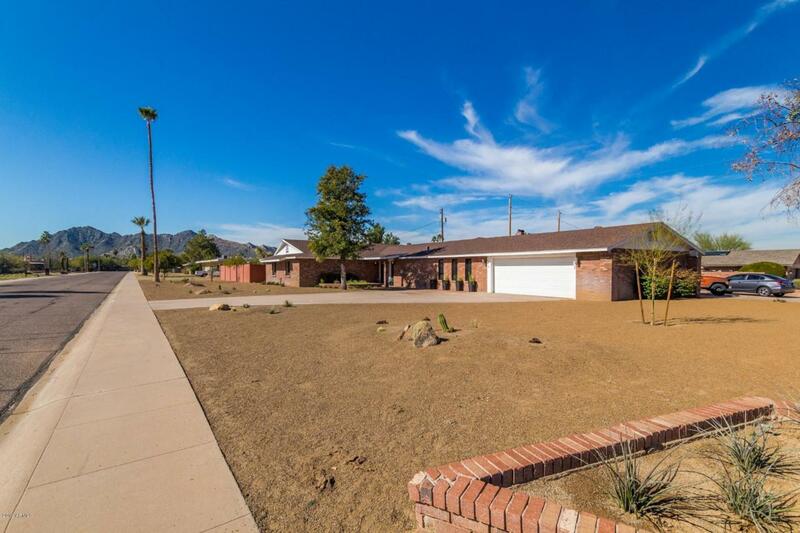 Split master bedrooms, Tons of Space Don't miss your opportunity to get into this neighborhood!